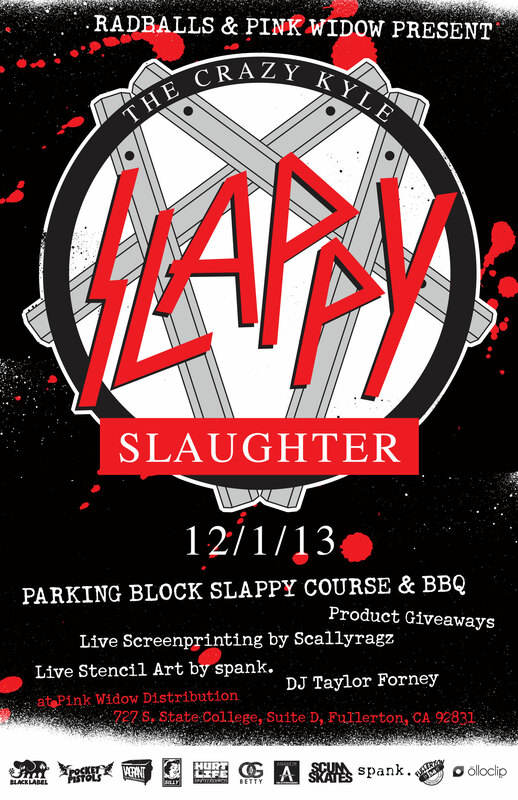 Custom parking block slappy course with other things to hurt yourself on. – Bring your own blank T-shirt to get screenprinted or there will a limited number of shirts available for purchase for $10. Live Stencil Art by spank. The Fullerton Skatepark Association will be running the grill all day. They will be selling hot dogs and drinks with 100% of sales going directly to the FSA. Special thanks to Pink Widow Distribution, Black Label Skateboards, Pocket Pistols Skates, HURT LIFE, Silly Girl Skateboards, Patti Mcgee The Original Betty, Vagrant Skates, ANAHEIM SKATEBOARDS, Scum Skates, Fullerton Skateboard Association, and olloclip for helping make this happen. 15 Seconds at Salamander Ranch. 15 Seconds with Robbie Russo, Riley Stvens, Tristan Rennie, and Ronnie Yerman at Salamander Ranch.